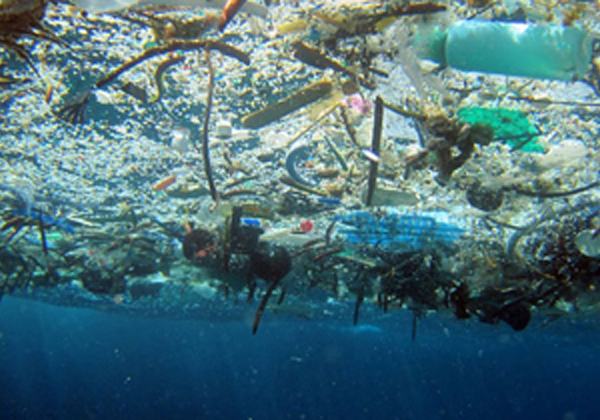 The Great Pacific Garbage Patch (GPGP), a rotating gyre of waste and debris located between California and Hawaii, is spread across 1.6 million square kilometers (about 617,700 square miles, or more than twice the area of Texas) and contains at least 79,000 metric tons of plastic, according to new research published in Scientific Reports. These figures are 4-16 times larger than originally thought. By far, plastic material makes up most of the litter researchers found in the GPGP, comprising 99.9% of 1,136,145 pieces and 1517 lbs. of trash they collected for the study. Of collected plastics, 47% were hard plastics, sheets and films and 52% were nets, ropes and other lines. The study estimates that the GPGP contains 1.8 trillion pieces of plastic, of which about 1.7 trillion are estimated to be "microplastics," pieces between 0.05cm-0.5 cm. From July-September 2015, researchers, including The Ocean Cleanup, conducted a total of 652 surface net tows to collect and analyze marine debris. The study area was also reviewed in 2016 by two flights to capture aerial imagery.